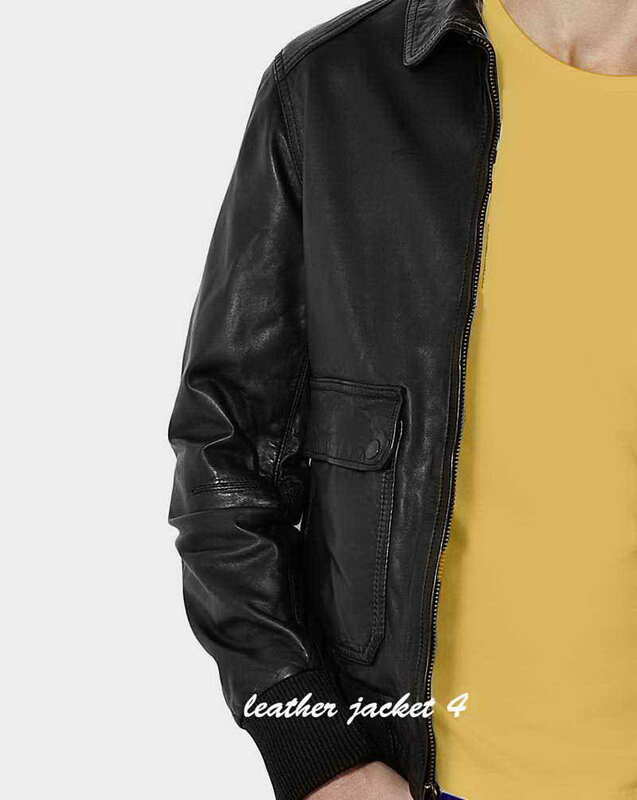 Handsome pick stitched accents touch up a smooth leather jacket tailored with a timeless, masculine design. 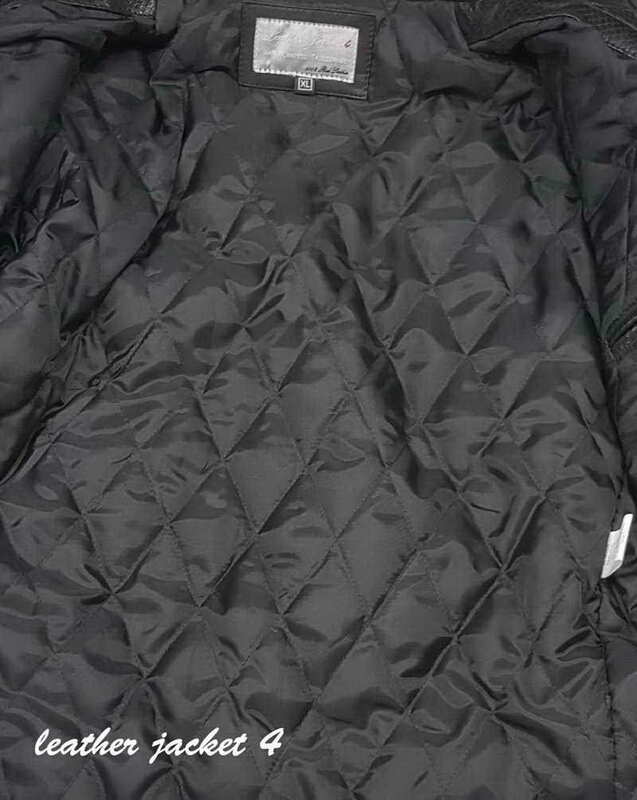 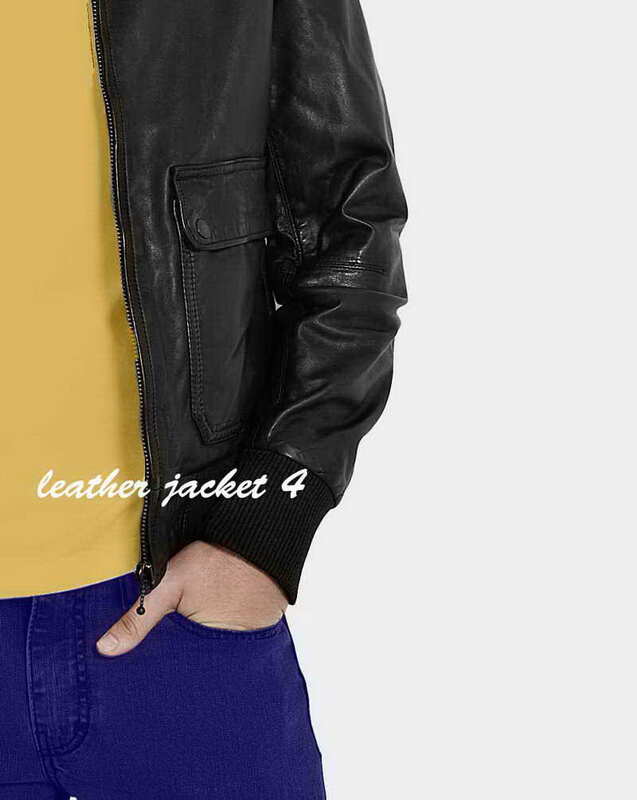 The classic cut and lamb leather construction give the jacket an elegant style that dresses up or down with ease. 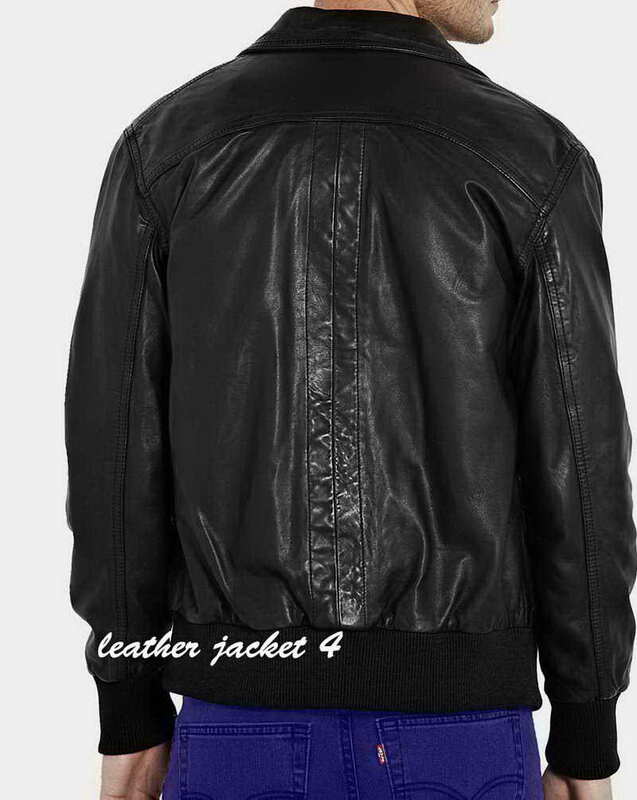 Black leather bomber jacket with ribbed knit cuffs and hem. 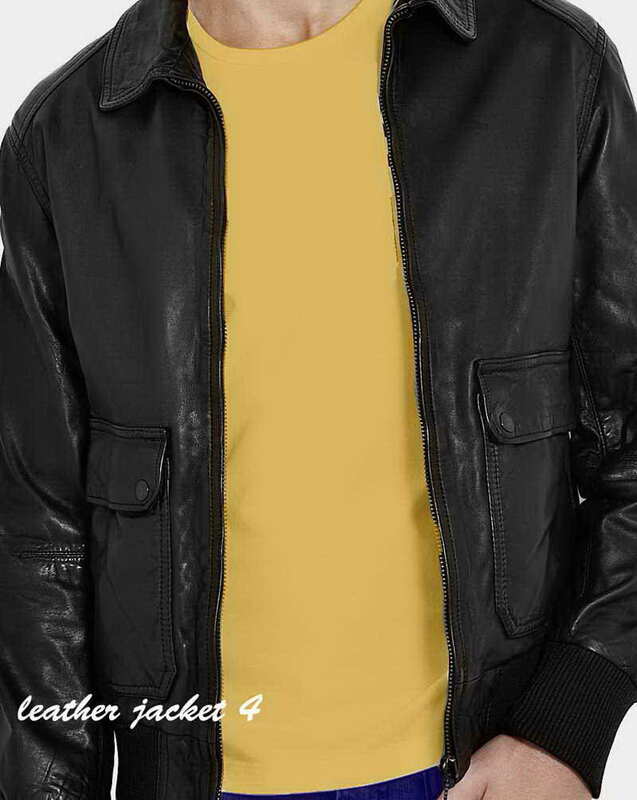 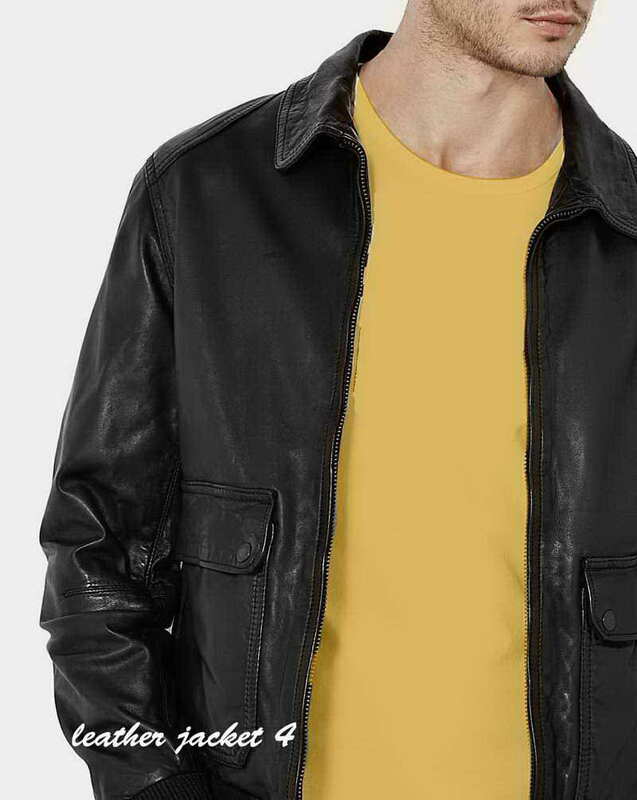 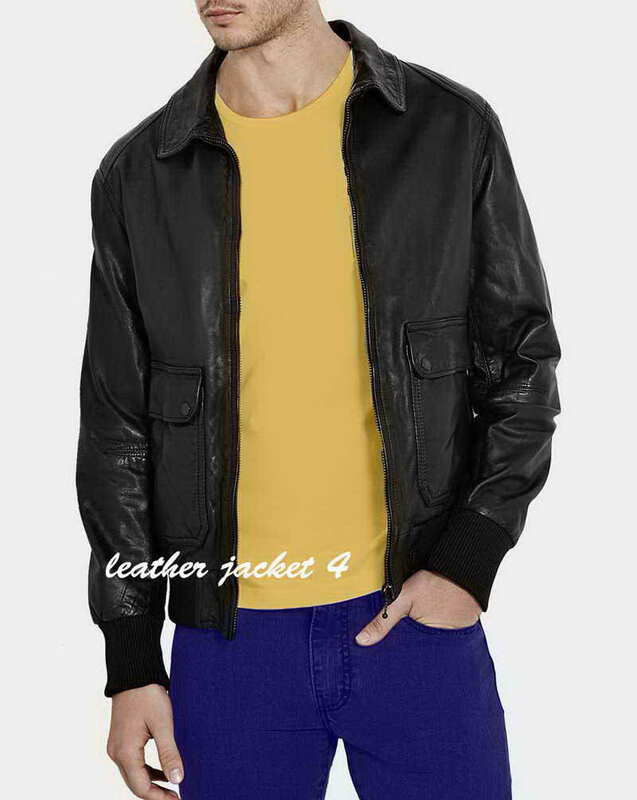 This leather jacket has two front press stud flap pockets, a zip front fastening, one interior press stud fastened pocket and an arched shoulder panel.